That a recipe or dish should have soul has been the guiding principle of our cooking. A dish that has soul is cooked from the heart. Sure, we are in the South, the heart of what is traditionally known as ‘soul food’ but I believe that the definition of ‘soul food’ is quickly evolving. Every country in the world has it’s own brand of soul food. 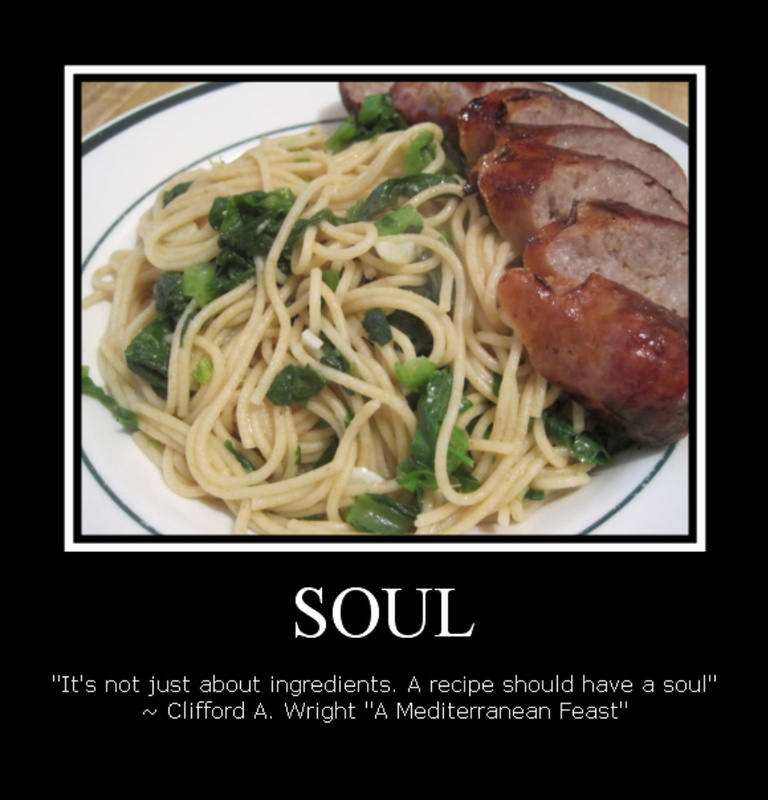 Dishes that feed not only our bodies but also our spirit is soul food. Dishes that evoke memories and emotions are soul food. Dishes that comfort us is soul food. In the global environment we all move around in now, dishes that remind us of home no matter where we are is soul food. Curious about the pasta dish in the photo? It’s exactly the kind of dish that embodies soul cooking. Comforting, filling and good for you. Wheat spaghetti with turnip greens and sausage.